The FCC recently voted to exclude base stations for new 5G wireless networks from review under federal environmental and historic preservation laws. Meanwhile, almost two dozen states have passed laws, pushed by wireless lobby groups, to override local ordinances that would regulate the siting of these new base stations, which could be installed on nearly every telephone pole in the U.S. Other states are considering similar legislation. In 2016, the National Toxicology Program released draft results of a seven-year study on the health impacts of cellphone radiation. NTP scientists found an increase in heart, brain and many other types of tumors in rodents exposed to radiation like that emitted by 2G and 3G networks. Radiation from 5G devices is similar to that of previous generations, so in the absence of specific data, the health impacts the NTP found are red flags. The cellphone industry says that 5G networks will connect nearly everything to the internet, enabling self-driving cars, virtual reality and artificial intelligence, and making your phone work like a supercomputer. To achieve the necessary download speeds, cellphone companies will need to install antennas or base stations every block and a half. The FCC said this could mean nearly a million installations of the new technology. On March 22, the FCC voted to exclude installations of 5G equipment from the National Environmental Protection Act and the National Historic Preservation Act. These laws require federal agencies to evaluate and minimize the impact of new development on the environment and historic properties. But the FCC’s action does not exempt installation of the base stations from state and local and regulations. To clear these hurdles, the two main wireless lobbying groups – the Wireless Infrastructure Association and the Cellular Telecommunications and Internet Association – have developed and promoted model legislation overriding such regulations to state legislatures. The legislation, passed by 20 states so far, largely eliminates the permitting and review process for base station installations, and restricts or removes local oversight. Some legislation also unequivocally allows these installations on public rights of way. Some states have also capped fees for such installations much lower than existing rates. Eleven states are considering similar legislation. Only four states have rejected or shelved similar legislation, including California, where EWG opposed the proposal and Gov. Jerry Brown vetoed it. In Congress, the wireless industry is also pushing the so-called SPEED Act to exempt small wireless installations, and any wireless installation in a public right of way, from the National Environmental Policy Act. Another bill, called the STREAMLINE Act, would create a federal one-size-fits-all rule to mandate cheap installation fees and speed approval of installations. 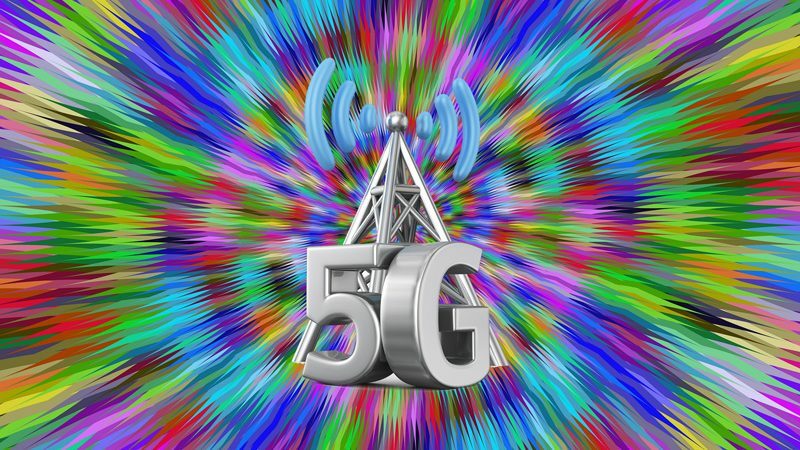 What health impacts might come from the wide-ranging deployment of 5G technology? Because of the lack of research comparable to the National Toxicology Program’s studies of existing technology, scientists can’t say. But the actions of the FCC and state lawmakers to fast-track 5G technology are reckless and irresponsible.